The Bamboo Swivel USB Flash Drive is a gorgeous looking and environmentally friendly device. Made out of sturdy bamboo and topped off with a swivel cap, this natural looking flash drive can take care of your data storage needs. It has up to 10 years of data retention and comes with a 3 year warranty. The Hi-Speed USB drive is compatible with PC, Mac, and Linux. 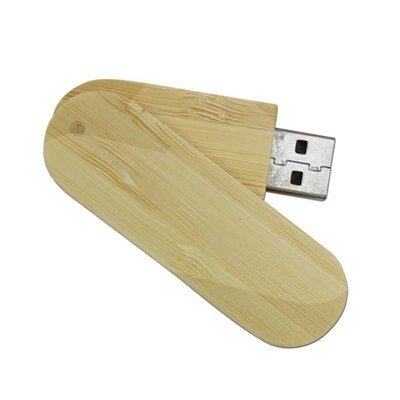 The Bamboo Swivel is available in bulk at wholesale prices or can be ordered as customizable flash drives. 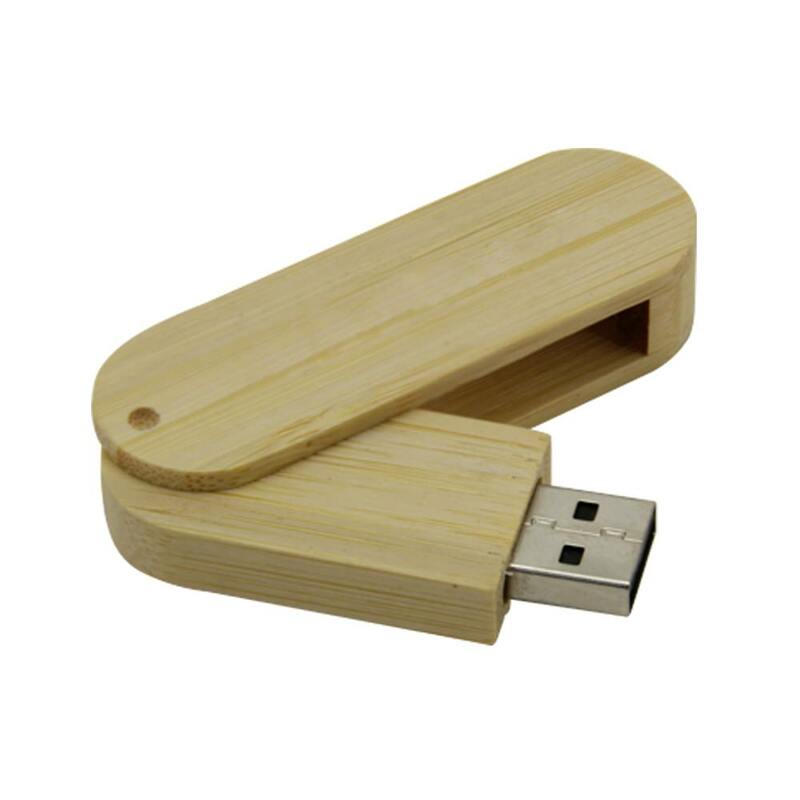 If pandas could use USBs, they would love our Bamboo Swivel USB Flash Drives. These “green” drives have bodies made out of bamboo. It’s a strong, supple, and natural alternative for your data storage needs. The Hi-Speed USB drive is fully supported by PC, Mac, and Linux. The Bamboo Swivel has up to 10 years of data retention and comes with a 3 year warranty. It has plenty of storage space for your documents, music, pictures, presentations, videos, and other files that you want to have tucked away in your pocket. 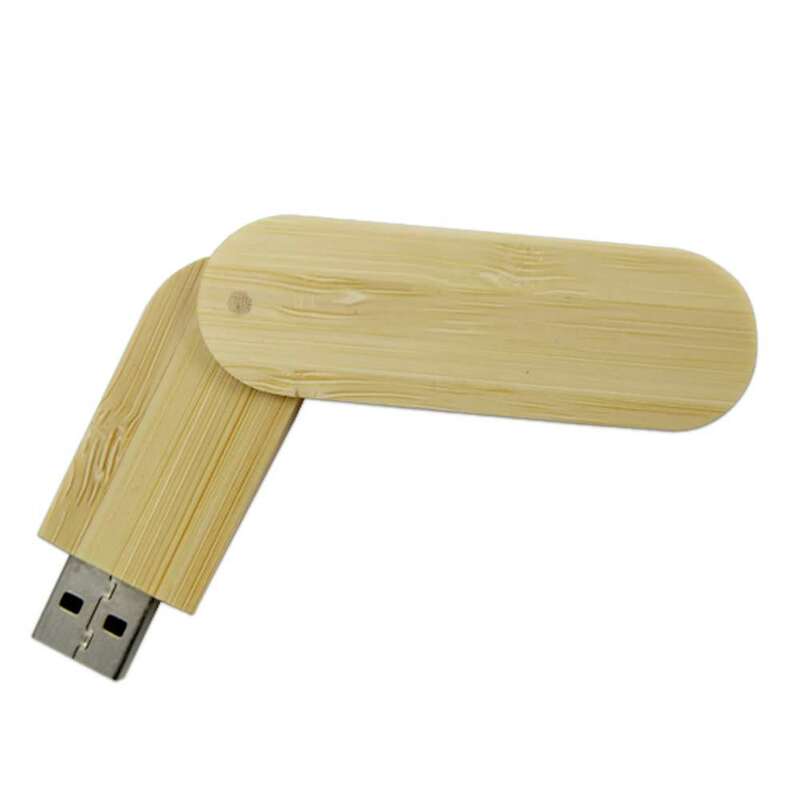 The eco-friendly USB is protected by a swivel cap attached to the bamboo. The Bamboo Swivel is available in bulk for wholesale prices! It’s also available as customizable drives. If you’re part of an organization that’s looking to go “green”, a great way to start is by stocking up on these bamboo marvels. Print your logo on them and you’ll have a great promotional tool to help spread your environmentally aware brand.